It seems like it was just yesterday when rumors leaked the BlackBerry Priv name for the company's first Android powered phone. Short for privacy, the phone featured a vertical sliding QWERTY keyboard that does not rank up there with BlackBerry's best. The recent launch of the far superior BlackBerry KEYone, along with the aging specs of the Priv, have combined to lower the price of the latter to $224.99 on eBay. Keep in mind that this is the STV100-2 model, which means that it is the unlocked GSM version of the phone. That means that it will work with T-Mobile and AT&T in the U.S., but not with Verizon and Sprint. Standard shipping is free, which means that the phone, if ordered today, will arrive between July 6th and July 11th. The Priv runs on Android 6.0, and does have a 5.4-inch AMOLED screen with a 1440 x 2560 resolution. However, the Snapdragon 808 chipset under the hood is a couple of generations old, and there is 3GB of RAM on the device along with 32GB of native storage. An 18MP camera with OIS (and an aperture of f/2.2) is on back, with a front-facing 2MP selfie snapper included. Lastly, there is a nice sized 3410 mAh battery powering the unit. So far, 116 BlackBerry Priv handsets have been sold with this deal, and we don't know how many are left. If interested, click on the sourcelink. Still a very capable handset with an above average camera. You could do a lot worse with $225. You can definitely do much better though. Lol lol lol. So predictable with your comment. Name "much better" option for $225 that offer what PRIV has to offer. Doesn't look like the priv is helping you much with your broken English. Your deflection is noted. All you had to say is that you cannot name "much better" option. All I had to say is what I wanted to say. So you intentionally deflect because you cannot answer the question. Noted. I repeat, all I had to say was what I wanted to say. I repeat, I already note that you intentionally deflect because you cannot answer the question. Like Crispin said, the BlackBerry PRIV is still a very capable handset. The speedy monthly patches are filled with both security and performance updates, and keeps the device functioning well. Agree, Meanestgenius. 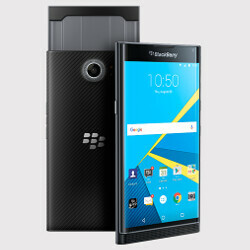 PRIV is still very good option for smartphone. Yes, why won't you stop lying? Like you lying about your faux accounts? You won't stop projecting, either. You won't stop lying, either. You're still projecting your lying ways onto me. I agree. The value of it has plummeted. Let us see- https://swappa.com/search?q=Blackberry+PRIV+ https://www.ebay.com/sch/i.html?_from=R40&_trksid=p2380057.m570.l2632.R2.TR12.TRC2.A0.H0.Xblackberry+priv+.TRS0&_nkw=blackberry+priv&_sacat=9355 https://www.amazon.com/s/ref=nb_sb_noss_2?url=search-alias%3Dmobile&field-keywords=BlackBerry+PRIV+ On swappa (mxyzptlk Iike to quote from swappa), BlackBerry PRIV not going for less than $200. On eBay, authorized reseller companies not going below $200, with most at $225 and above mark. On Amazon, BlackBerry PRIV not going below $200, with most price above $200 mark. I think it is sell at fair price. Totally agree. +1 to you. You backed yourself up with links to prove your point. Aka, I'm crying because Flash was right. In other words: "Now I'm triggered because Meanestgenius agreed with someone who was right." FIFY. Yes, you are wrong, as usual.